It was the largest transfer yet under the administration of President Barack Obama, who vowed to work to close the controversial facility during his time in office. 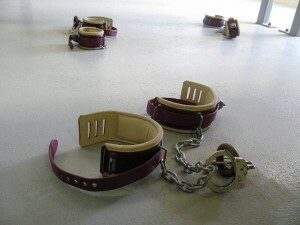 It followed the transfer of three detainees last week. The 10 Yemeni men who were released this week were: Fahed Abdullah Ahmad Ghazi, Samir Naji al-Hasan Muqbil, Adham Mohamed Ali Awad, Mukhtar Yahya Naji al-Warafi, Abu Bakr Ibn Muhammad al-Ahdal, Muhammad Salih Husayn al-Shaykh, Muhammad Said Salim Bin Salman, Said Muhammad Salih Hatim, Umar Said Salim al-Dini, and Fahmi Abdallah Ahmad Ubadi al-Tulaqi. An Omani official was cited in a state news agency report as saying the men would stay in the Gulf Arab state until conditions improved in Yemen, which is experiencing a civil war. Because of security problems, the United States has been unwilling to send detainees back to Yemen.